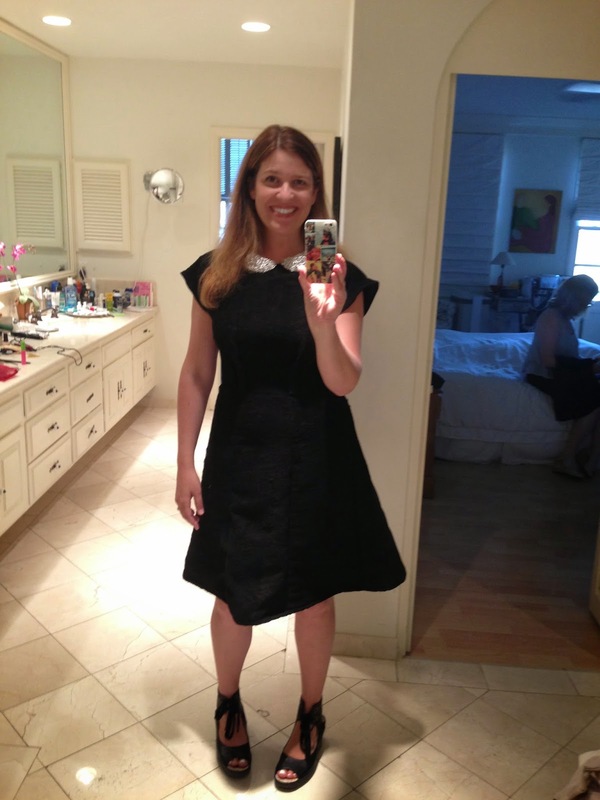 So for the first time ever, I wore a dress I made to a dinner party!! It is the Anna Dress from Hand Made London. There are three different versions of the dress, I chose the shorter version. This is definitely an intermediate sewing pattern. I would call it advanced, but a real seamstress would call this intermediate. 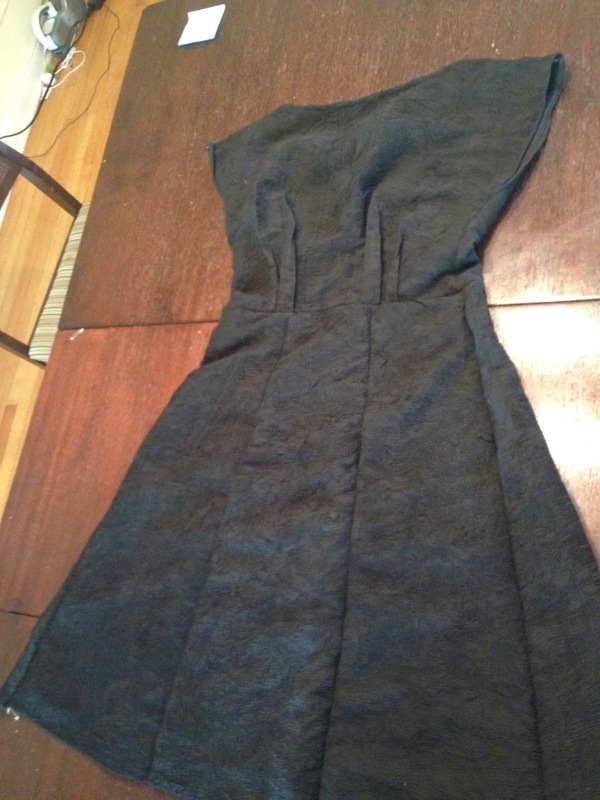 I love the textured black fabric I purchased for the dress. It gave it a lot of body and was very forgiving of my sewing. I would definitely make this dress again after some practice with invisible zippers. I would also only ever make this dress in a thicker, more textured fabric.